Wild Is The Wind is a strong step forward for Anna Kolchina and is easily recommended. Anna Kolchina's mellow seductive voice has been heard around the world. Born in the Russian Republic of Bashkortostan and graduate of the St. Petersburg State University of Cultural Arts, Anna has since performed and recorded with world class musicians from Russia, Europe and USA. In 2015, Anna's debut album “Street of Dreams” was recorded with the world famous Italian jazz pianist Massimo Farao's trio in Turin, Italy. She signed under Japan based jazz label, Venus Records. Venus Records is one of the largest and respected jazz label, which is adored by many audiophiles around the world. Later that year, she performed at Bobby Durham’s Jazz Festival in Isola del Cantone, Italy on stage with Kevin Mahogany, Steve Nelson, Sheila Jordan, Vincent Herring, Paul Bollenback, Mike Baker, Byron Landham, Aldo Zunino, Rodney Bradley, Massimo Farao’ and Pat Bianchi to name a few. In 2016, Anna released her sophomore record with Venus Records, “Dark Eyes”. On this album, she choose to be more hands on and wrote the arrangements for 6 songs which was played by Massimo Farao’s trio featuring Claudio Chiara- alto sax and Fulvio Albano- bari sax. “Dark Eyes” was in high rotation for weeks Virginia Muse radio in Amsterdam. “Street Of Dreams” and “Dark Eyes” were released on Vinyl LP and Super Audio CD. In December 2017, Anna released her third album with Venus Records titled Wild Is The Wind that was recorded with New York All Star band featuring John Di Martino on piano, Peter Washington on bass and Willie Jones III on drums. The same month she appeared on cover of the jazz magazine Jazz Perspective. 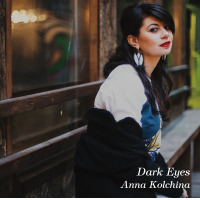 Anna Kolchina is an up-and-coming young jazz singer from Russia. Since graduating from the St. Petersburg State University of Cultural Arts in 2015, she has recorded three albums for the Venus label of which Wild Is The Wind is the most recent. While her debut, Street Of Dreams, teamed her with Italian pianist Massimo Farao’s trio in Italy and the follow-up, Dark Eyes, had a quintet with Farao, the new set is with an American rhythm section. Ms. Kolichina has a warm voice, an appealing musical personality, does justice to lyrics, and is a subtle improviser. Joined by pianist John Di Martino, bassist Peter Washington and Willie Jones III, she performs a set of classic songs which includes some superior obscurities. The rhythm section is tasteful and swinging in its accompaniment of Ms. Kolchina. 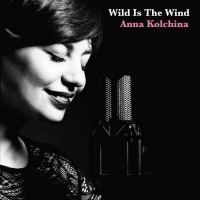 There are plenty of short solo spots along the way for the versatile pianist Di Martino and bassist Washington, with Jones taking colorful drum choruses on “You Do Something To Me” and “Day By Day.” Wild Is The Wind is a strong step forward for Anna Kolchina and is easily recommended. All About Jazz musician pages are maintained by musicians, publicists and trusted members like you. Interested? Tell us why you would like to improve the Anna Kolchina musician page.